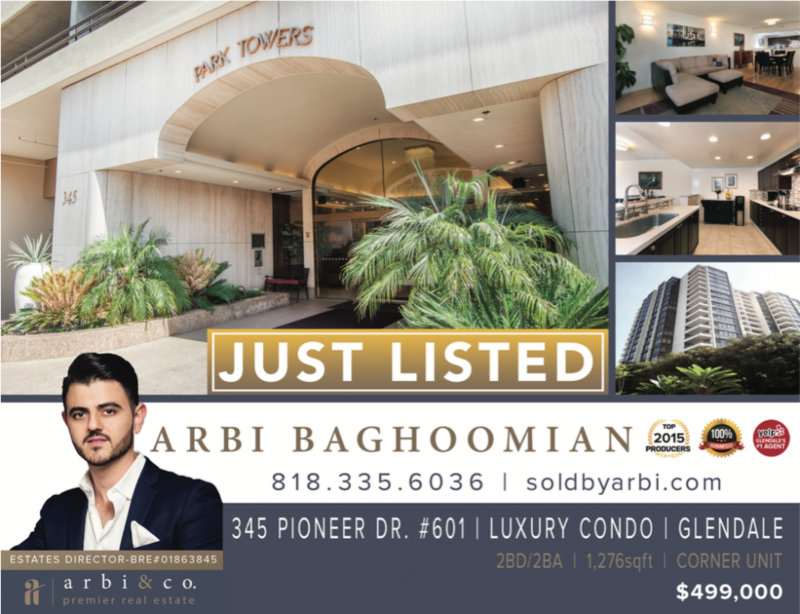 Enjoy million dollar views from this unique 6th floor, corner unit condo located in the prestigious Park Towers in Glendale. 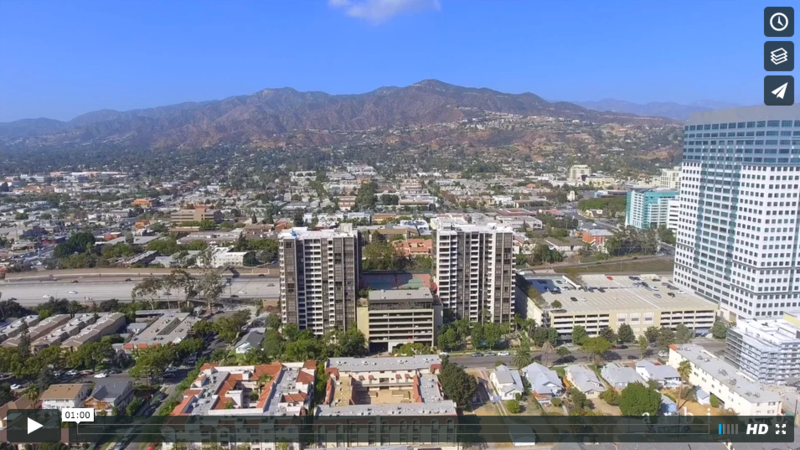 Park Towers is truly the crown jewel of luxury living in downtown Glendale. Double-door entry welcomes you into the spacious 2BD/2BA high rise condo featuring a formal living room, separate dining room, and the updated kitchen is tastefully fitted with quartz counters, stainless appliances and porcelain floors. Natural light envelopes nearly every corner of the interior, most notably, off the living room and bedrooms. Additionally, the unit comes equipped with its own laundry room and Central AC/Heat. Master suite offers an oversized walk-in closet, double sink vanities, and spa like bathtub. Building amenities include 24HR. security, two pools, two tennis courts, recreation room that is exclusive to residents, and unlimited guest parking. Common areas have entirely been renovated with impressive materials and fine details. Don’t miss this unique opportunity to own in one of Glendale’s most exclusive buildings.